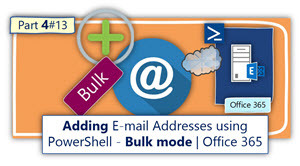 In the current article, we review the process in which we use PowerShell for creating a search in Office 365 and Exchange Online environment, looking for a “hidden” or “ghost” E-mail address. 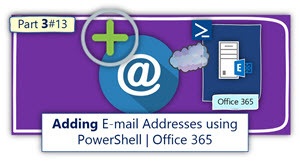 The term ““ghost E-mail address” is not a technical term but instead, a term that I use for describing a scenario in which we need to locate a specific E-mail that we cannot find by using the standard Exchange Online web management interface. An example to such as case could be a scenario in which we want to add an E-mail address to Exchange Online recipient, and we get an error message that informs us that the E-mail address is associated with another recipient. 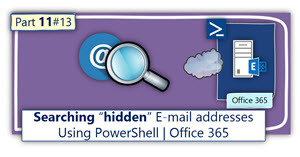 The challenge that we face is – how to locate the “hidden recipient” that own this E-mail address. 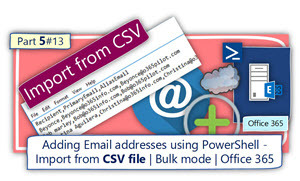 The PowerShell query that we use for locating the E-mail address is based on the PowerShell “Where statement”. 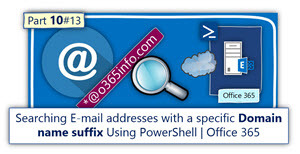 The PowerShell Where statement, define a “search condition” that address Exchange Online recipient and Office 365 users. 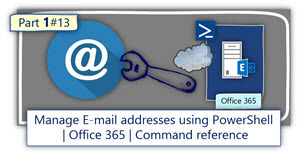 The following PowerShell command performs a search for a specific E-mail address by “addressing” all the Exchange Online recipients (the PowerShell command Get-Recipient). 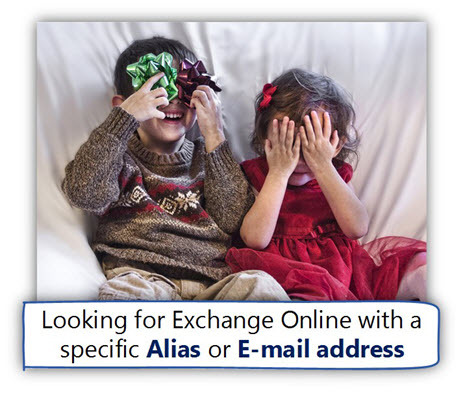 The Where statement address the “EmailAddresses property” of the Exchange Online recipient, and look for a text string “*[email protected]”. Notice that we use the PowerShell operator “Like” that doesn’t perform an “exact match”. If we will use the PowerShell operator “eq” (equal), we will need to provide the “exact string” that we look for. Using a PowerShell script for performing a “unified search”, looking for a specific E-mail address or specific UPN name. To purpose of the following PowerShell script is, helping us to perform a “unified” search, that will query – Azure Active Directory infrastructure, and Exchange Online infrastructure. 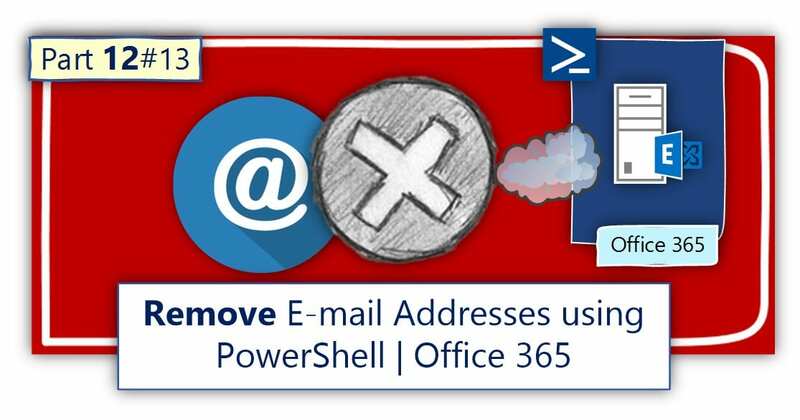 The script “address” all the available Exchange Online recipients and Office 365 users, and query the specific properties that include information about E-mail address or UPN name. specific E-mail address. (when executing the script, you will need to type the “E-mail address” that you look for). In case that PowerShell find Office 365 user or Exchange Online recipient that uses the specific E-mail address, the information will be displayed on the screen. If you are “afraid” from the complex syntax, I have prepared easy to use Menu based Menu based PowerShell script. 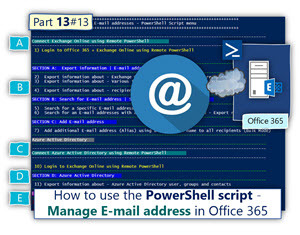 In the article – How to use the PowerShell script – manage Email addresses in Office 365 | Part 13#13, you can find more detailed information about how to use the Menu based PowerShell script. specific E-mail address E-mail address. $Alias = Read-Host "Type the name of the E-mail address that you are looking for "
write-host "The E-mail address $Alias, is not a Soft Deleted Exchange Online mailbox"
write-host "The E-mail address $Alias, belong to Unified Group"
write-host "The E-mail address $Alias, is not a Unified Group"
write-host "The E-mail address $Alias, is not Exchange Online recipient "
write-host "The E-mail address $Alias, belong to Exchange Online Recipient"
If I could suggest an improvement, it’s to use the “-filter” capability of Get-Recipient instead of the Where clause. 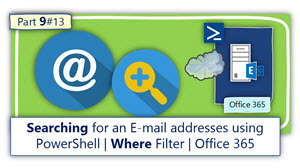 Filtering means the Office365 server does the searching and only sends you the accounts that match the filter, whereas the Where clause means Office365 sends you ALL of the accounts in your tenant and your local Powershell has to crawl through them looking for a match. Probably not a huge difference if you’ve only got a few dozen accounts, but if you’ve got hundreds or thousands, it makes an enormous difference.